Ever since iPhone X’s is out, gesture based navigation has become a mainstream thing with various Android based OS. 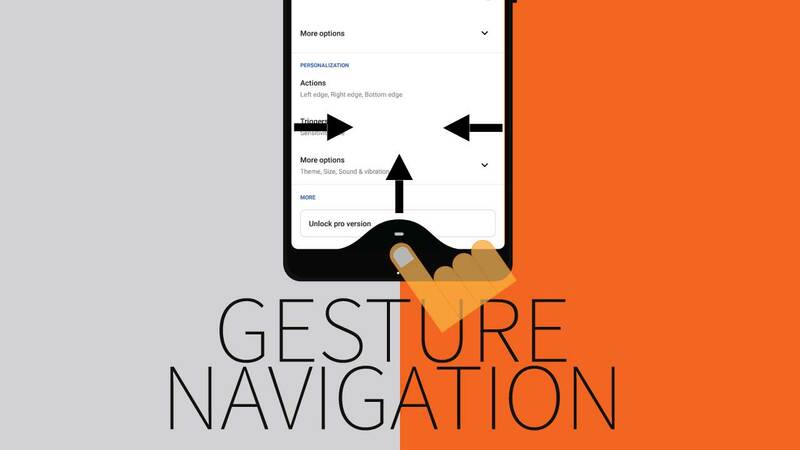 Whether it’s Xiaomi or OnePlus, most Android OEMs have got their version of gesture based navigation. 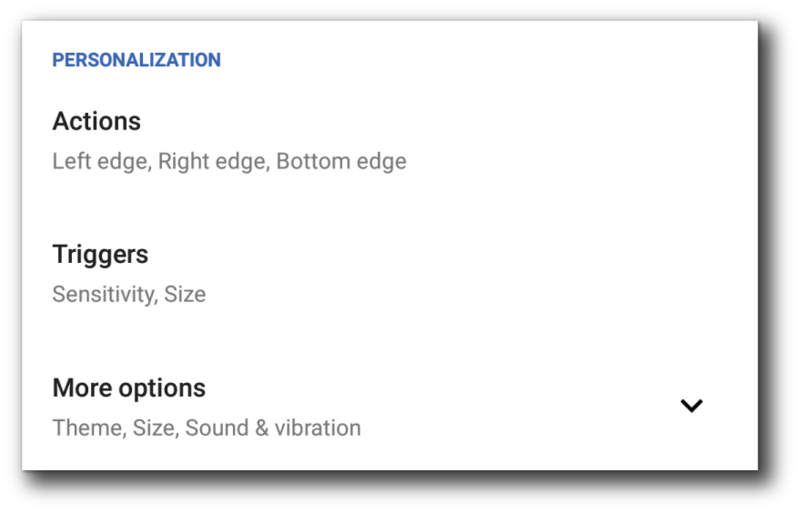 Recently with Android Pie, the stock Android has also got the taste of this new gesture navigation format. 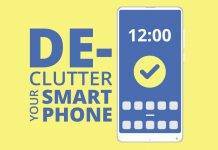 However, if you are someone who is still living with a phone that is using the regular button based navigation, then you have landed at the right place. Fluid Navigation Gesture (Beta) is the app that can fulfil all your wishes. It’s an unreleased app on Google’s Play store, which means it’s still in beta. But you can try it on your device without any issues, so let’s begin. Fluid Navigation Gesture (Beta) app from PlayStore. Basic knowledge of using command prompt for some magic. Open the Fluid Navigation Gesture (Beta) app & then tap on ‘Enable‘ toggle. To enable gestures, you need to give Draw over other apps & Accessibility permission to this app. Give those permission carefully & then proceed to next step. 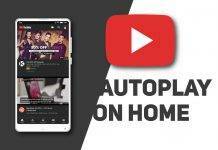 Now you have to hide the navigation bar of your device, so that you can use those navigation gesture without any hindrance. If your device is rooted, then simply tap on ‘GRANT WITH ROOT ACCESS‘ & allow root access to continue using gestures based navigation. Now on PC, open command prompt & type this command to confirm whether your PC is able to detect your device in ADB mode or not. If it does, then type the following command to give final permission to the app. You will now be able to ‘Hide Navigation Bar‘ & use gestures to navigate around the UI without any issues. Note: Gestures based navigation has a learning curve. It might take some time to get used to each & every gesture. 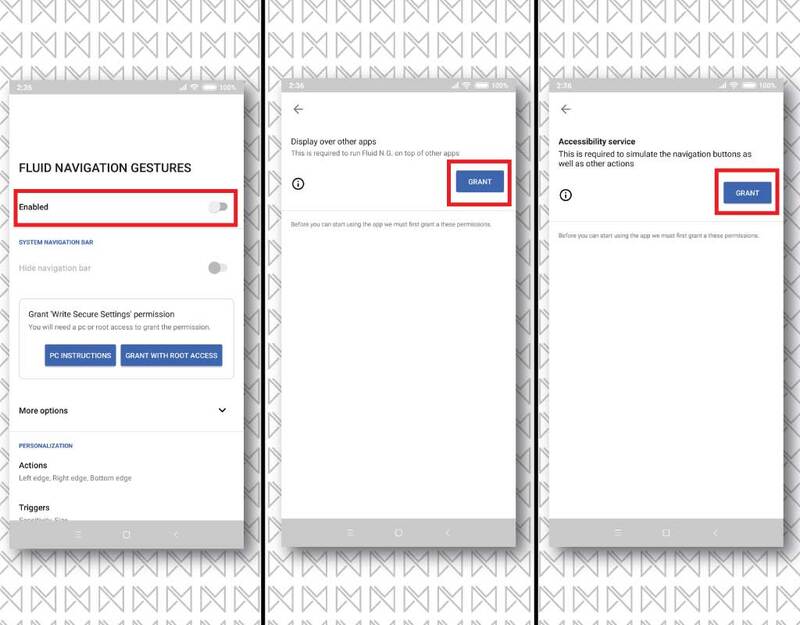 However, if you still feel that your old navigation keys were better, then properly disable the gestures & enable your navigation keys before uninstalling the app. The way this app works can pretty much replace the default navigation buttons, which makes it feel like a part of your smartphone’s OS. We hope the development continue to support more devices with a stable release in future. What do you this about these gesture navigation? Are they any better than the traditional navigation keys? Do let us know via a comment. Previous articleTop 5 background eraser apps for Android! Next article15 Cool GBoard Tricks that you should know!